Exposure to smoke from cooking fire kills approximately two million people worldwide every year. Globally, nearly three billion people use polluting, inefficient stoves or open flames to cook their food. The result is deforestation, carbon emissions and often-fatal illness. Inhaling the toxic fumes while preparing tortillas and frijoles puts rural Guatemalan women and children at risk of blindness, respiratory diseases or burns on a daily basis. 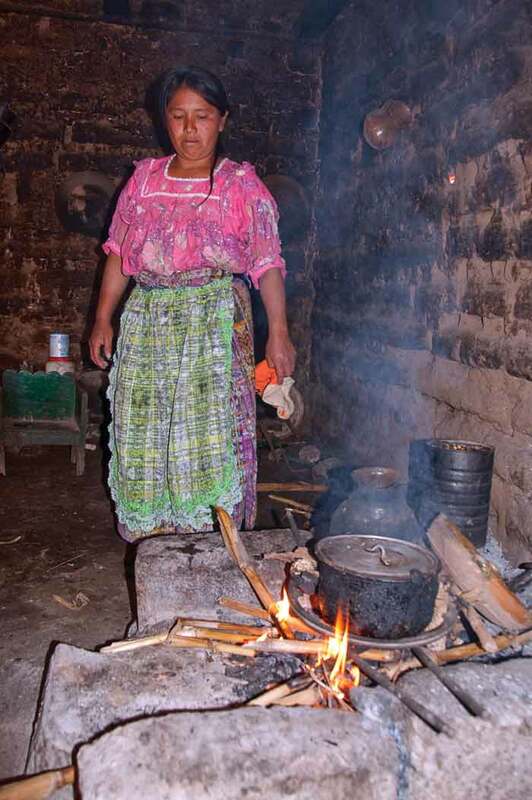 It is estimated that 77 percent of Guatemalan families use wood as their main fuel source; 2 percent of Guatemala’s forest is lost annually, mainly due to the need for cooking-fire fuel. Precious family resources and time are spent on gathering or purchasing wood. However, a trained mason can make an improved cooking stove in less than a day. The groups of Canadian volunteers who travel to the Western Highlands once a year with the Guatemala Stove Project are not as handy or efficient as the masons, but that’s not the point. Working in small groups with a mason and translator, we spend five or six days building stoves and experience firsthand their living conditions and feel the sting of smoke in our eyes from the unvented cooking fires. In a very short time our volunteers develop an understanding of how poverty affects those who live on less than $2 a day. Upon returning to Canada, our volunteers work together to support the project and raise funds to build more stoves. The 2011 contingent of volunteers will be in Guatemala in early February, working in the Quetzaltenango region to build stoves and staying at Casa Argentina in zone 1 near the Mercado las Flores. We partner with CEDEC, a Mayan organization that provides health services in the Highlands. The money we raise throughout the year is used to build stoves and provide other badly needed services to Guatemalan families. The stoves we build don’t look like much when seen through a North American’s eyes. They are made of cement blocks on the outside and fire bricks inside, filled with sand for insulation and held together by mortar made from various combinations of Portland cement, sifted sand, pumice and lime. The plancha, or stove-top, is shiny, bright steel when new but quickly becomes blackened with use. You can make a stove without a single power tool—in fact, you have to, since you can rarely find an outlet or power source in the dark room where you’re likely working. You can’t even use it right away—it takes several weeks for the cement to harden so it will withstand the heat. But the wait is well worth it. The crowning glory of this low-tech kitchen “appliance” is the galvanized chimney pipe that carries the poisonous smoke out of the house of the family who lives there. This is an “improved cooking stove,” and while most of us in North America wouldn’t know how to use one, it’s a big improvement from cooking on the floor over an open fire, like most women in rural Guatemala. 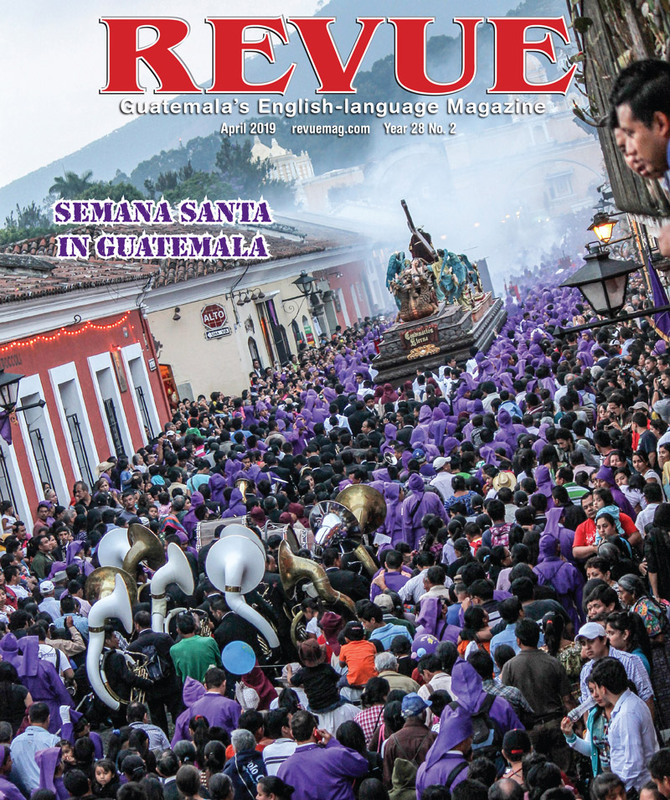 The Guatemala Stove Project is a volunteer-driven nonprofit organization started by Canadian builder and mason Tom Clarke who first started building the justa style stoves in 1999. Tom and a few volunteers built six stoves the first year. The project has now funded over 4,000 stoves. That’s 4,000 families living in cleaner houses, breathing unpolluted air. The Guatemala Stove Project now has two volunteer groups that meet in Ontario, Canada (Perth and Ottawa) to plan fundraising activities. 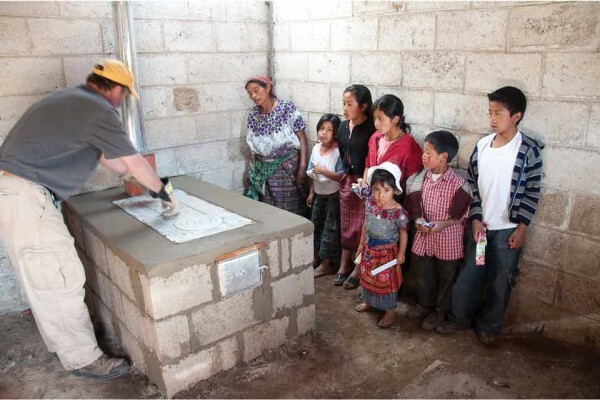 Building an improved cooking stove in Guatemala changes the future. It costs only $225 (CAD) to provide a stove. 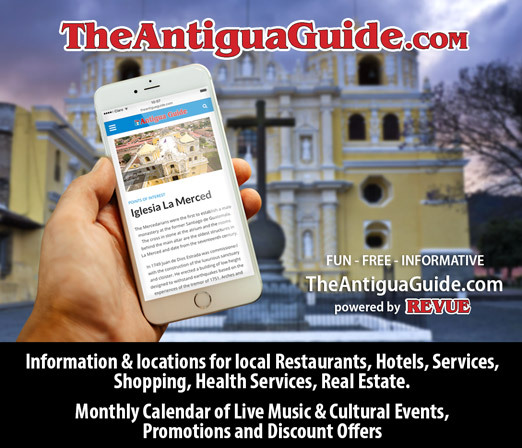 If you happen to be in La Antigua around the 17th or 18th of February, you may see us at the Posada La Merced on 7a av. norte 43, as we relax for a few days before heading back to our cold Canadian winter. Say hello. We’d be glad to tell you about our work. For more information about the Guatemala Stove Project or to make a donation, visit: www.guatemalastoveproject.org. To learn more about the global issue of indoor air pollution see http://cleancookstoves.org/ Liz Ballantyne-Jackson is a volunteer with the Guatemala Stove Project.